Why Choose Clean Green Electronic Recycling? 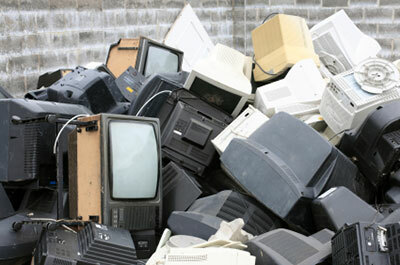 Over a period of time, the electronics we use become obsolete and need to be disposed. However, they cannot be dumped along with other waste considering the potential hazard the metals in the electronics can have on our environment. It is therefore necessary that you call a professional e-waste management company like us to take care of this important task. Clean Green Electronic Recycling is a safe, environmentally friendly and certified ewaste recycling company which uses accredited electronic waste recyclers, ones that are governed by ISO14001 standards – the international regulation for the safe disposal of electronic waste. Any vendor or recycler used by us will be R2 Certified and will provide all proper documentation to our clients. 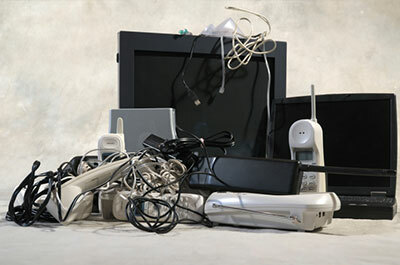 It is estimated that between 1980 and 2007, a mere 18% of the millions of end-of-life TVs, computers, cell phones and other related electronics were actually collected for proper disposal and recycling. A whopping 82% ended up in our nation’s landfills. Once in the landfills, the electronic equipment would sit idle; eventually being broken down by the elements or by other garbage being piled up on top of it. Over time, the hardware would end up releasing toxic chemicals into the soil or having them carried away by rain water runoff to where the toxins would then enter local streams and rivers. Or even worse, the equipment would be destroyed in an incinerator, where the intense heat would transform some toxins into extremely dangerous substances like dioxins or polycyclic aromatic hydrocarbons, which are some of the most toxic substances known to man. These and other toxins found in this type of equipment have been linked to cancer, birth defects and other deadly health conditions. Failure to recycle these materials properly places plants, animals and people at risk. Why Do Some Companies Fail to Practice? Electronic waste disposal needs to be an essential component of every large company’s overall asset management strategy and choosing a reputable company to handle their e-recycling needs is fast becoming one of the most important decisions CTOs are having to make. Knowing what to look for in an e-waste recycler can make all the difference between being a responsible company and one that faces possible six-figure fines and potentially image-damaging investigations. Does the e-waste recycler adhere to all current EPA guidelines for disposal of hazardous waste? Are they ISO 14001 certified and have an established Environmental Management System in place? Do they have a No Landfill policy? Do they have policies in place forbidding export of the equipment to foreign countries? Do they have policies against using prison labor? Are all of the company’s downstream partner’s e-Steward Certified? Does the e-waste recycler accept all kinds of IT equipment? Is the e-waste recycler highly experienced in providing EPA-compliant recycling? Does the e-waste recycler destroy all recorded data via DOD-approved methods prior to disposing of the media? Does the company have an errors and omissions insurance policy (minimum of USD 1 million) in case they fail to perform the data destruction properly? Can the e-waste recycler provide references? In summary, an effective electronic waste disposal and recycling strategy is every company’s responsibility to maintain the health of the planet we live on. Every year new research details the cumulative dangers caused by toxins and harmful substances leaking from improperly disposed electronic equipment and how they negatively affect the environment. As the CIO or IT director, it is essential for you to choose an experienced e-recycling company that can help ensure your company adheres to federal, EPA and state recommendations for the proper disposal and recycling of e-waste materials. Not only is this critical for the environment, but is also minimizes your business’ risk. It is imperative that you know the EPA’s current guidelines for compliant computer recycling are being followed in order to be protected from the risks and liabilities associated with the mismanagement of electronic waste, under all circumstances. For more information about responsibly recycling old IT equipment through an experienced, EPA-compliant computer recycler, contact Clean Green Electronic Recycling at 1888-76WASTE1888-76WASTE or visit us on the web at www.1888ewaste.com. We have a 24 hour pickup option. If you’re in a jam and need something removed ASAP, we can accommodate your requests within 24 hours! Awarded the most respected industry certifications, including R2/RIOS, ISO’s 9001 and 14001.